With winter upon us, you may find yourself adding tissues to your shopping list to help with a cold. But tissue paper is also an amazing material for gift wrapping, as well as offering exceptional packaging protection for fragile or sensitive items. In today’s post we’re focusing fully on tissue paper which can be used to protect some less fragile goods in transport and is commonly used to add decoration and colour to gifts. We’ll explore the history, as well as how it’s made and sold across the UK. What exactly is tissue paper? So to directly answer what is tissue paper, it is a super lightweight paper type usually made from recycled paper pulp. The term ‘tissue paper’ covers a wide range of different products including paper towels, toilet tissue, facial tissues, wrapping tissue, and many more. So let’s start at the beginning – when was tissue paper invented? This isn’t a straightforward question to answer as it isn’t well documented. The earliest known use of paper as a wrapping and padding material was in China 2nd century BC. Over time, product wrapping and transportation of goods became crucial to business and the global economy, so the thick paper originally used to wrap and protect evolved into the tissue paper we know and use today. There are many other materials suitable for protecting items in transport, take a look at our protective packaging range for more. It’s not known exactly who invented tissue paper, but the evolution of this material could be linked to Joseph Gayetty’s invention of toilet tissue in 1857, which uses a similar production process. How is tissue paper made? To understand how is tissue paper made we need to start at the beginning and ask what is tissue paper made of? it is made using paper pulp (wood fibre) or recycled paper materials such as cardboard, newspapers, or certain types of juice carton. 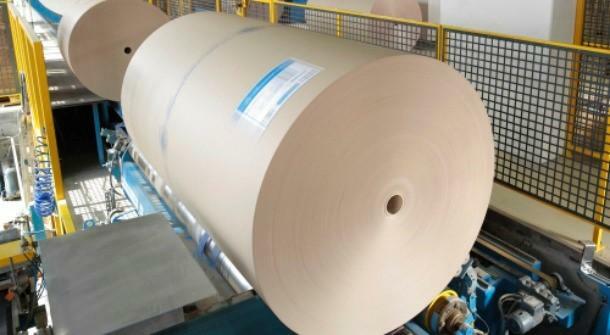 The wet pulp is then rolled on a paper machine until the desired thickness is achieved. It’s dried in a large steam heated section of the machine and rolled onto huge cylinders called logs ready to be cut to size. Sometimes as this popular material ages it can become acidic and brittle. This acidity could cause damage to sensitive items being stored within it, such as clothes and books. This has led to the creation of acid free tissue paper. But exactly what is acid free tissue paper and how does it differ from standard tissue? Acid free tissue paper is specifically processed without certain agents, it differs from standard tissue paper which is made with agents that can turn acidic over time. This makes it ideal for storage of products or items such as jewellery, fabric, crockery, ornaments and antiques. You may wonder is all tissue paper acid free? Put simply no – both types of tissue are available and are used for different purposes. Acid free tissue paper has a wide range of uses with more fragile or delicate items, however standard tissue paper can be used for many things including general wrapping, bottle wrapping, as a filler for gift boxes and gift bags as well as countless uses in crafts. Tissue paper is a relatively inexpensive way to brighten the unboxing experience, adding another layer of excitement to the theatre of receiving a gift. The huge range of colours and finishes available make it suitable for any occasion from Weddings to Birthdays, Christmas and beyond! What is the difference between crepe paper and tissue paper? 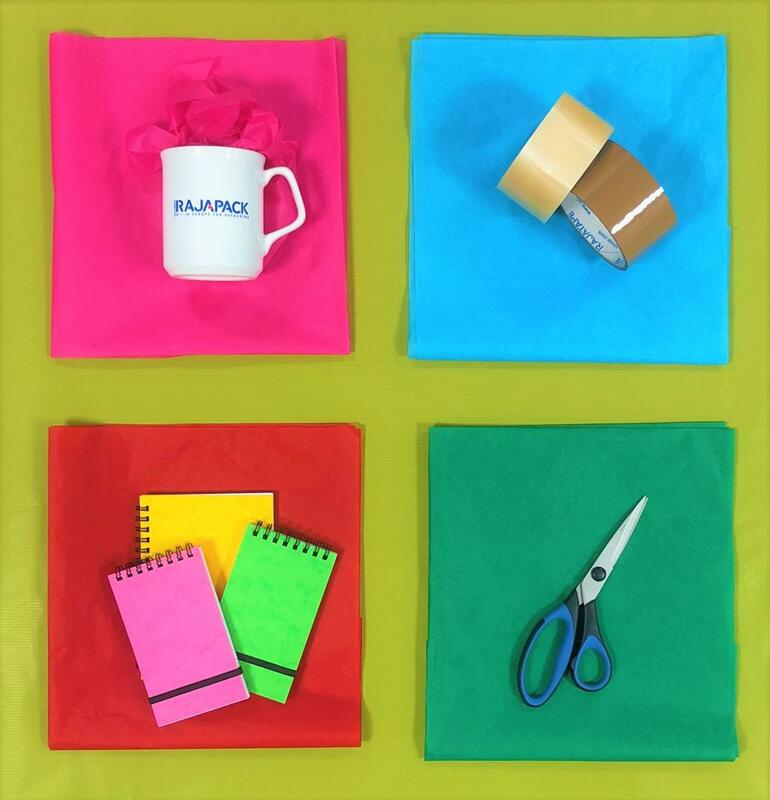 Although very similar materials, the difference between crepe paper and tissue paper begins in the manufacturing process. Crepe paper starts life as tissue paper, then a thin layer of adhesive is applied over the tissue paper and scraped with a blade. This creates a gathered, crinkled effect. Crepe paper is often used in crafts and is also the backing for various types of tape, including masking tape and electrical tape. What is a ream of tissue paper? You’ll have no doubt heard the term – a “ream”, but what is a ream of tissue paper and what does this mean? A ream is one unit of paper in which the sheets are all the same size and quality. Reams are regulated in the UK by the ISO (International Organisation for Standardisation) to ensure manufacturers and retailers sell the same quantity of paper in a single ream. But how many sheets are there in a ream of tissue paper? 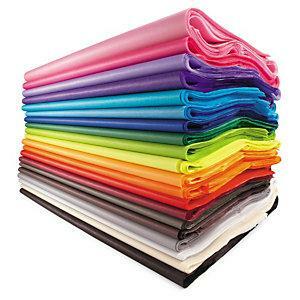 The international standard quantity for a ream of tissue paper is 480 sheets. With 480 sheets in a ream, you may be wondering how much does tissue paper weigh? One ream weighs about the same as 3 x 1 litre bottles of water. We also sell our shredded tissue paper in 3kg boxes, however you can buy this in a variety of weights according to your selected retailer. All paper types come in a variety of thicknesses which is measured in Grams per Square Metre (GSM). GSM is a numerical scale, the lower the number, the thinner the paper. Generally tissue paper ranges from 10 to 35 GSM. For comparison, office printer paper is typically 70 to 100 GSM and greeting cards are 250+ GSM. If you’d like more information about tissue paper, our range of protective packaging products, or help on selecting the right packaging for your business simply get in touch with our team of Packaging Specialists who will be happy to help. Simply visit www.rajapack.co.uk or contact our team on 0800 542 44 28, or sales@rajapack.co.uk. This entry was posted in Packaging Industry News, Packaging Products & Materials and tagged business supplies, craft, gift packaging, packaging on December 5, 2018 by Rajapack UK. With over 50 years packaging experience, more than 4,000 products and a team of in-house experts on-hand to help you find the right solution, it’s no surprise that Rajapack is Europe’s No.1 packaging supplier. From cardboard boxes, bubble wrap and packaging tape to gift bags, magnetic labels and warehouse racking, get everything you need, delivered next day. So whether you want to protect products in transit, store them in your warehouse or package them for sale, make Rajapack your No.1 choice. Living in the future: How will new materials shape our world? © 2019 RAJAPACK Ltd. All rights reserved.